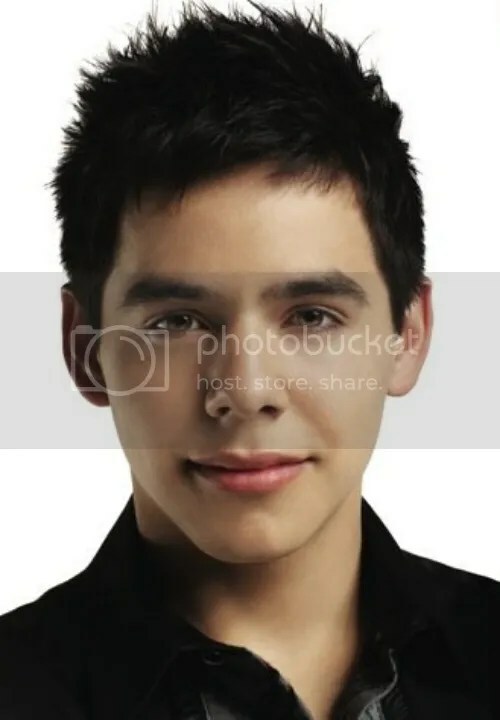 This entry was posted on Wednesday, January 22, 2014 at 12:35 AM	and is filed under Art, David Archuleta, Editorial. 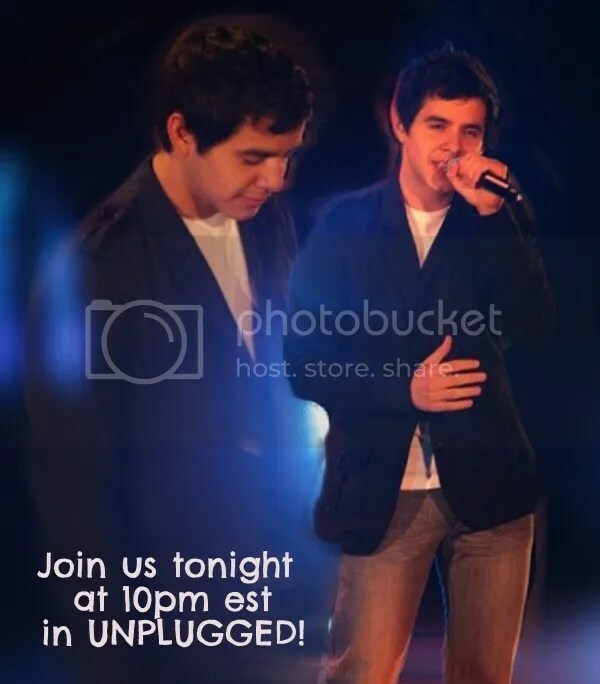 Tagged: #DA2014, David Archuleta, Desperate, hope, missing him, Soon!. You can follow any responses to this entry through the RSS 2.0 feed. You can leave a response, or trackback from your own site. Desperate live blew me away. He changed up the melody but epic just the same. I love how you can see him playing the piano here. Wow, Ronaleem! This is so good…. perfectly good!! I love your interpretation. You know, now that you’ve brought it to my attention, I’m on the desperate side of desperate. I’ve gone through many stages of feelings during this two years. It was a ‘happy for him, and yet wondering what the heck just happened’, right after his announcement and when he left. It mellowed to ‘it’s okay, it’s even fine, life is great and I’m doing great, he’s doing great, and so all is great’, through the middle. However, we’ve hit the home-stretch and I’m fading in those mid-stretch feelings. I’m at the ‘desperate for hearing his 23 year old voice speak to me, sing to me, see his face smiling a currently on North American soil smile, feel his caution at getting back into the groove, and waiting for the ticket office to open for his first concert sales (however far down the road that is, I can wait – really)’. It’s coming soon…. I can make it…. this too is going to pass. love your post, and thoughts about Desperate!. Thanks for sharing them! 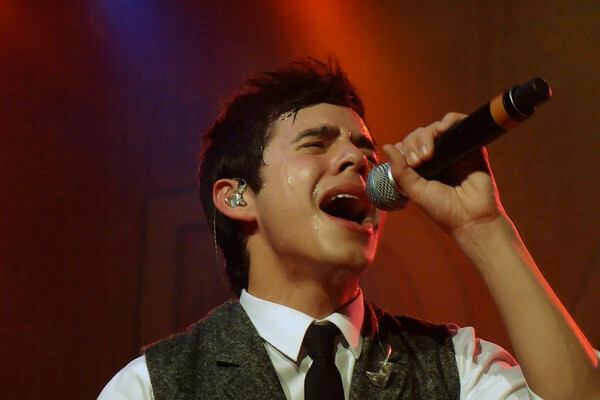 I remember us all being so excited when he performed it LIVE in Rockford!. eeeeeeeek!! Powerful song especially listening to it again. His passion really comes through on this song. Ronaleem, great job you did here. I love you perspective on things. I only really liked this song after I heard him sing it live. It wasn’t one of my faves on the album. He sang this like he’d been there. But then again, he always does. Thanks so much for your in depth analysis of this song. I love the way you described the difference in his voice and the length of notes in the beginning compared to the end. I do that. I love to analyze his songs because there are so many hidden gems in each song that aren’t apparent on first listen. While it’s never been a favorite of mine, David’s voice on it is just beautiful and the emotion he manages to convey is amazing, especially for one so young. And I hope it’s not personal experience because I don’t like the thought of him ever feeling all alone and in the dark. I prefer to think of it as a song about understanding that sometimes it feels like life gives us more than we can handle but we’re stronger than we think, that there is a light at the end of the tunnel. This is the one and only song of David’s that I do not like at all. If you notice he has only sung this song one time. I really don’t think it is one of his favorites either. It is inconceivable to me to ever think of David or any situation that he might be in as being desperate. David always finds the positive in everything so just can’t see him as desperate. I always wondered if the label was the one who chose to put this song on the CD not David. Of course he sings this magnificently and from his heart but putting David and Desperate together is just an oxymoron. Just my simple opinion. I too am very very excited for David’s return but I am certainly not desperate. I will wait patiently as we have now for 2 yrs. I will be thrilled with what ever path he choses for himself and with what ever music he puts out there for us to listen to.I know it will be wonderful. All I want is David’s happiness. 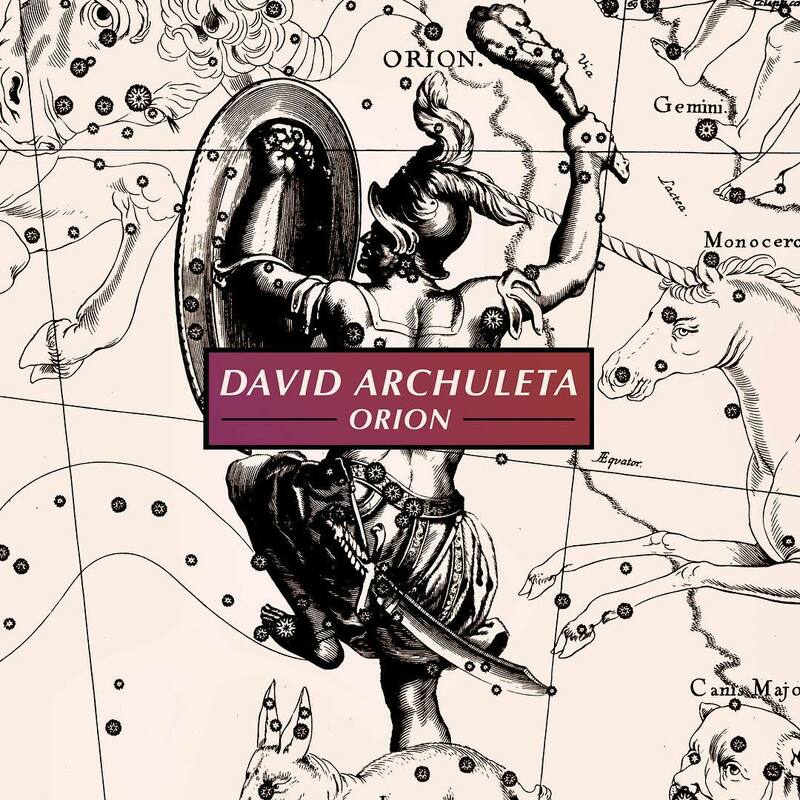 Great job of deconstructing one of my favorite songs on David’s first album. It was the only other cover besides Robbie Willim’s “Angels,” and was written and originally recorded by the German rock group, Stanfour. I used to crank it up full blast while driving and sing away with him at the top of my lungs, lol. I’ve always thought he could be very successful with rock ballads, since nobody can emote or wail like David. Nobody. “You know the things have gotta change. You can’t go back, you find a way. And as much as I loved the studio version, his live performance left it in the dust. I’m not really sure why he took so long to sing it live, maybe he was worried about getting it perfect. 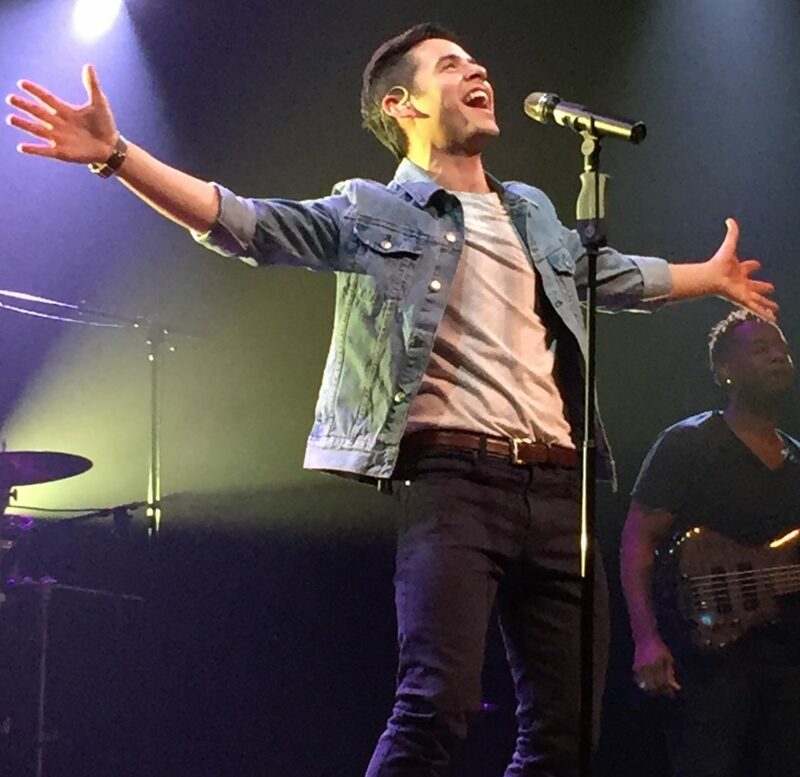 I remember at the one VIP I attended, I overheard someone ask him if he was ever going to do Desperate live and he said, “Um….probably not.” Yet one night in Rockford, for the first time, he did it. He was plainly nervous and apologized to the crowd in advance for any mistakes. Then he wiped his brow and proceeded to give one of his most masterful performances onstage. It is so beautiful and haunting, the way he plays the piano, the way he sings with so much feeling. I agree with the 3rd person narrative and with MT, I don’t think it’s about his own feelings as much as for others. Laying hands on your soul isn’t a physical thing at all. It’s a spiritual healing the song is referencing. If someone is truly “desperate”, clinging to a last shred of hope, maybe even contemplating suicide, they don’t care who it is that helps them through it. Even a stranger on a suicide prevention hotline or a friend who calls to say they were thinking of them and wanted them to know “somebody out there” cares. It’s about someone bringing peace to your soul and hope that things are gonna get better. And sometimes that’s all you need. Granted, it’s not always a matter of life or death, there are degrees of desperation, but as Thoreau said, ““Most men lead lives of quiet desperation and go to the grave with the song still in them.” David is making sure that never happens to him and aren’t we glad! Anyway here it is, his first live performance of Desperate (there would be only two) and my favorite. Jan, you explain just fine. I certainly understand your interpreting the song just the way you felt it. No one could comfort you at a time like that but the one you lost. Looks like I wrote another article. I’m a wee bit crazy about this song, can you tell? Rona – I’m so happy to see a song analysis again and I love how you broke it down and saw things, heard things that I didn’t notice. These kinds of analytical articles used to be more common posts back when David was first starting out. People would write fantastic articles about a song, a performance, a concert…. and then people would comment, add little tidbits that they noticed that weren’t mentioned in the article. It was fun, enlightening and engaging. 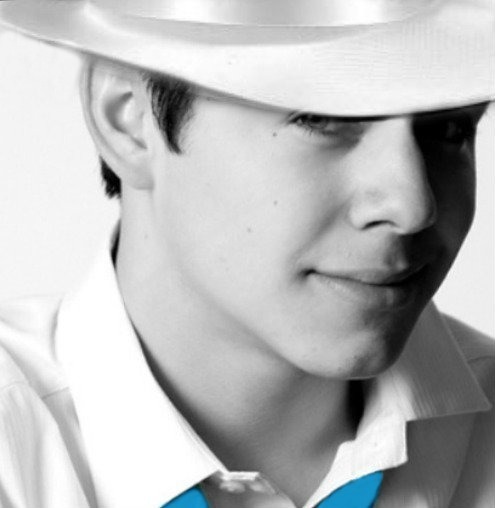 I can’t wait for David to come back so we have new music and performances to watch and squee over and analyze. 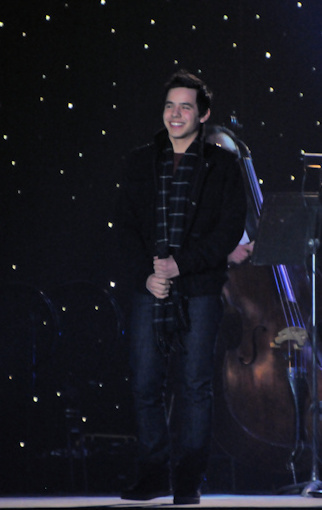 I am thankful for the few Mission performances we’ve been able to see, but am anxious for rockin’ David to be back. Ronaleem, your article is fascinating all the way through. I thoroughly enjoyed the inside thinking of the development of the song. Some of us do that when we listen to David in particular. I had never done that before. Thanks for giving us the background and the lyric changes. I like David’s lyrics better. Definitely more hopeful. Your analysis of “Desperate” was so impressive! To be honest, I didn’t take a liking to this song from the beginning. It’s very different from David’s other songs which always lift me up. Desperate starts out depressive and the melody didn’t draw me in so I didn’t give the song a chance. In fact, I usually skipped it when I listened to the first album. For shame! However, when I heard David sing it live on the YouTube from Rockford, I was spellbound! 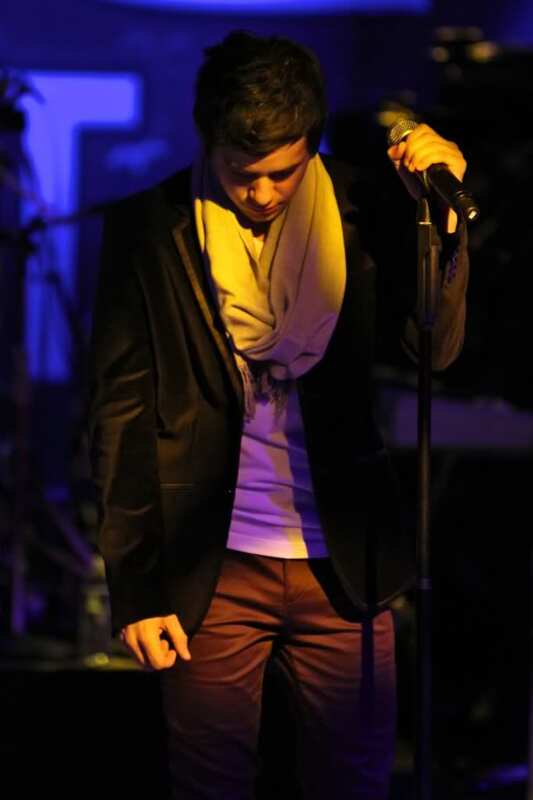 The emotions he poured into the song came straight from his soul, as if he lived through the despair described in the song. He can actually awaken or reawakens your senses! Hi guys, stay warm! The deep freeze is here. It feels like -20 here and a friend of mine in the south just had her pipes freeze. Dreaming of the sun and warmth right now. I live in the deep south and I woke to find everything here covered in ice, even this far south. Hope everyone is keeping warm! Soon, folks, soon. Only two more months! I didn’t exactly love Desperate on the CD but his two live performances left me gasping for more. Truly awe-inspiring! Rona, I love what you write about David. Your appreciation and respect for him is always evident. 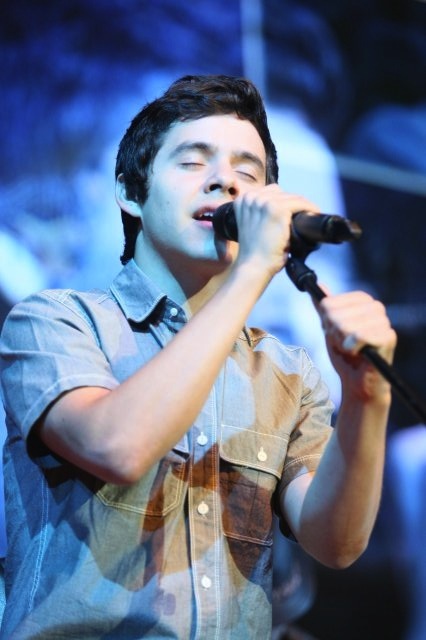 I love to hear David sing Desperate. He takes a song that could be completely dark and turns it into a lesson on how to handle those dark feelings. For me it is a song of empathy and understanding, with a helping hand stretched out to bring you back. At The Voice Unplugged I watched two videos that showed the crowd in their seats before a David performance. Anticipation infuses the audience and the wait seems to never end. David comes strolling onto the stage and captures us in his aura. Everything changes. David is with us. It has been over two years since I have experienced that feeling and the waiting continues. I could be desperate. Ronaleem, thanks for bringing Desperate back to our attention. That song definitely has a special place in my heart. Like some others have mentioned, it was not initially one of my favorites on that first album. 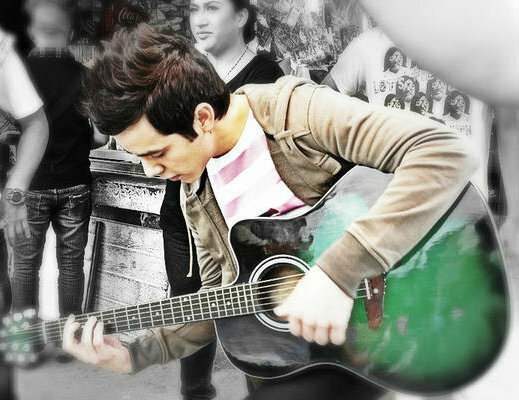 I leaned toward the more positive, upbeat songs, because my life at that time was heavy enough. It seemed almost contradictory to what drew me to David and his music–a sense of hope and peace (the things I was so hungering for). Eventually however, I gave it a chance, and it was almost like a catalyst of sorts that encouraged me and strengthened my resolve to break from an abusive relationship. So, in the end, the song that initially seemed so dark and hopeless became an anthem for me of liberation, freedom, and hope. I can hardly listen to the song without crying because it reminds me of where I was, and how far I have come. And no one hears your cry. ‘Cause all your fears remind you. Another dream has come undone. Like you’re the only one. To lay their hands on your soul tonight. There’s no one left to call. And all the days you wasted pushin’ them away. It’s your life; it’s time you face it. You know that things have gotta change. You can’t go back, you find your way. And day by day, you start to come alive. Truly that last stanza was critical, and the most important part of the song to me. I had no idea David had changed those words…but I am not surprised. Just like Marlie said, it has been a very long time since anyone has deconstructed and analyzed a song of David. I like how you chose the song ‘Desperate’ from his debut album (where many of his songs were also the subject of analysis, i.e. ALTNOY, My Hands, Touch My Hand, Barriers, etc. ), and tied it in to what most of his fans have been feeling for the past almost two years of his absence which thankfully is finally near its very imminent end. You did an awesome job of it, Ronaleem. You made me listen to the song once more and appreciate it again just like I was hearing it for the first time. David is a real genius when it comes to song interpretations. He brings so much life to a song and sings it like he experienced it and wrote it himself. In my opinion, I think that he is singing in the second person perspective, since I cannot see him as the one feeling the desperation himself, and especially because, as Angelica pointed out, it is actually a cover of an existing song by Stanfour. I am not surprised that he infused the change in the lyrics since he is very particular about the message of the songs he sings. After his revelations (in interviews in Manila) about the disagreements he had with his label about song choices and images shown in his music videos for TOSOD, I have a feeling that Desperate was also not a song of his choice in his first album and this is probably why he did not feel like it should be in the set-list of his live concerts. But since some fans asked for it, he acquiesced and performed it only twice. I also have a feeling it might have been chosen as an alternative to his original song ‘Falling’ which has the same subject matter but was probably seen to have lesser commercial appeal. I recall reading that his father tried to fight for certain songs to be included in the album, but the label had their way. I have a strong hunch ‘Falling’ was one of those songs, and with some influence from fans, it was later on included as a bonus track. Personally, I prefer ‘Falling’ more over ‘Desperate’ just because I know that he wrote it and that it is more meaningful to him in many ways. ‘Desperate’ is a great song, but wasn’t as popular with the fans as the other songs in the same album because the subject matter was so antithetic to who David is as an idol brimming with infectious positivity and joy. I deeply love ‘Falling’ but unfortunately it didn’t gain much ground either with the fans because in tone it was much more serious and brooding than ‘Desperate.’ I just am still in amazement that he wrote it at age 14. Maybe many felt the songs weren’t age-appropriate for him to sing at 17. Looking over all the comments I can see that “Desperate” is a song that you can’t ignore. Opinions are strong. 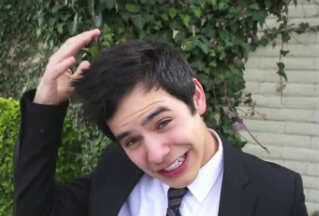 Whether it is a song that is suitable for David to sing or not, sing it he did! I find the melody haunting and soulful. At the time the CD came out, someone close to me was going through a hard time emotionally. Desperate was the perfect description for her state of mind. I remember listening to the song and hoping I could hear something that would help her. As Kaycee says, the close of the song was something to hang on to. It asks the listener to look inward for the solution to their desperation. Leave it to David to send a message of hope to help someone in need. Thanks for all your kind comments, my friends. I’m sorry I haven’t responded to you yet, but I’ve been very busy for the last few days, and I will be today as well. I look forward to continuing the conversation very soon. One additional thought: I mentioned my astonishment that a 17-year-old could sing this song so convincingly. I wonder if we’re assuming that David has not felt such desperation? I’m guessing that he has not, that he has the gift of empathy which allows him to imagine how another person would feel. But I think, too, that a 17-year-old might feel things more intensely at that age than at a later age when he’s had more life experience. Will this be the night that YOU sign in and chat ? Well this changes everything I was going to say. I thought David wrote Desperate. If he didn’t, why the need to analyze? That being said, everyone’s comments are extremely interesting. We have had a 2 year drought. We analyze anything and everything David. We encourage discussion on any topic on his music choices. Actually, Desperate is my favorite on the album. Not that I related to it but just the way David sang it gave me chills. I was disappointed that it wasn’t part of his first tour. 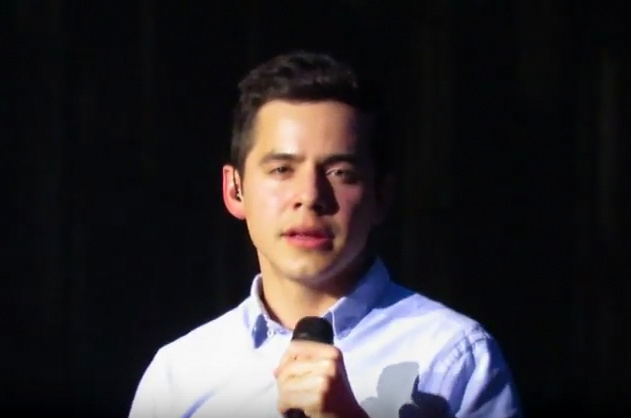 But , then I realized that the message was pretty intense and David seems to have a little difficulty singing it. It’s just not him and I wonder why it was even on the album. Because I love this song so much I really enjoyed your breakdown. It makes it even more worthy to listen to. It’s still fun to listen and view David’s performances from times past but I can’t wait for the new stuff to begin. Gosh, I missed chat last night. Dang those Saturday night phone calls and when I got off it was late so I didn’t check it out! (procrastinating on doing some overdue cleaning! haha) Actually, he’s the reason it’s over due! haha!! But, I’ve learned he is more important…and fun! nice to see you 🙂 Welcome! Thanks for the puzzle Abrra. Putting David together is a great way to end a lazy Sunday. Am also in awe of your ability to come up with awesome pictures to invite us to chat. Jan, we had a fun time last night but it would have been better with you. Sometimes those Saturday night phone calls are hard to handle. Can someone come up with a message we can give without sounding like we are uncaring? Something like “Don’t bother me. 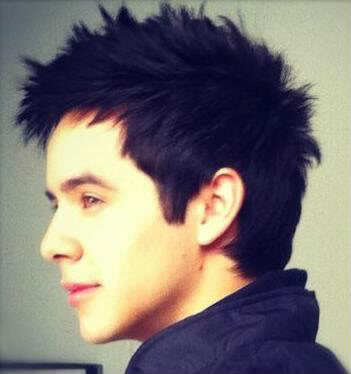 I spend Saturday nights with David and my David family” . Sky, I am so jealous of your thermometer. The one at my house is way to chilly. Want to switch? The song fits David to a T.
Hi Sierra! Welcome to the Voice! It’s 1:40 am…going to bed! Wish we would hear some kind of good David news tomorrow. 🙂 It’s really quiet! Catchy tune in the video in comment #37! I did a little research and now I understand why I like it so much. Eman (Emanuel Kiriakou, writer of David’s first single “Crush”) is listed as one of the writers of this song, “Classic”. Quirky little ditty at #37. I like it. Upbeat like David. You have to look quick though. No lagging on that video. Thanks for researching Bebe. Jan, I know it has been kind of quiet, but think of what is coming up soon. It will be David this and David that, David David David. We will be saying, “Enough already. Stop with the David!” or maybe that was just a dream I had. Mark your calendars!!! 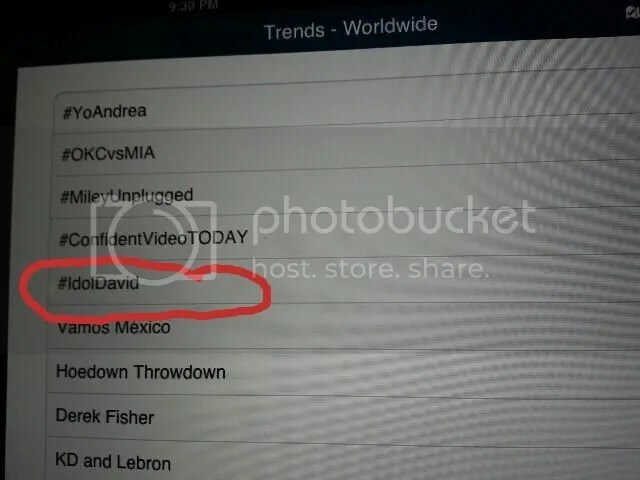 Trending Time! Nice video by Marcella! Love the dance recital to David’s song too. You’re absolutely right, MT. David has given us so many reasons to laugh and smile over the years. This song was always a little uncomfortable for me. Not because of how it is sung or the message or anything like that. Nor do I believe that I can know how he felt or feels about it personally. It is just that for me, it it always tied to my knowing of his deep connection with and caring for his family and friends. And that somehow, although it ends in a positive way, it just felt too much like I was seeing through a veil too thin. At the same time, I love that many people have an entirely different experience with the song. How wonderful is that!? It speaks to DA’s ability to draw near to hearts and be heard by each of us in the voice that most resonates. Thank you so much for writing and sharing with us all. Big hugs ((((((R))))))) !!! Thanks for the nice welcome! So sorry, I must have totally missed your post before. Bluesky, Thin veil, I know what you mean but for me I think that’s part of the instant connection I felt to the song being sung by David, he made me “feel” it as only he can. Betsy, that is too cool! Love the list! David must go back! 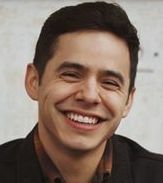 I thoroughly enjoyed the link you sent “22 Reasons You Should Be In Chile Right Now” but we must add one more to the list…”Because David Archuleta is there now”. LOL The list brought to mind the series of articles I wrote during the past two years for this site on Chile, on the foods, music, dance, customs, holidays, landmarks and people of this wonderful country. But that link listed a few more that I didn’t come across in my research. For example, El Salto Del Laja is a waterfall located in the Laja River in southcentral Chile, consisting of four horseshoe shaped falls, one on each arm of Laja River. David must go back one day and see this! ahh, Dancing,and memories,and waterfalls..oh my!♥Thanks for all the videos you guys! That waterfall is huge! look at how little the people look next to it.Gorgeous pic ,with that rainbow in the mist. By the way, I really enjoyed all the articles about Chile you brought to us during this long stretch.Sure made me feel closer to David and what he was experiencing. The food,music,the people and their customs,and so much more.Appreciate all your research and for being our travel guide Bebe♥, thank you! wont be long now before we can take Chile off our weather apps! eeeeek! 60 days!! Thanks for the link. It was really interesting. Did anyone else watch the video of the sky? Wow, what a view from the Observatory!! Love the waterfall, too. Gorgeous! 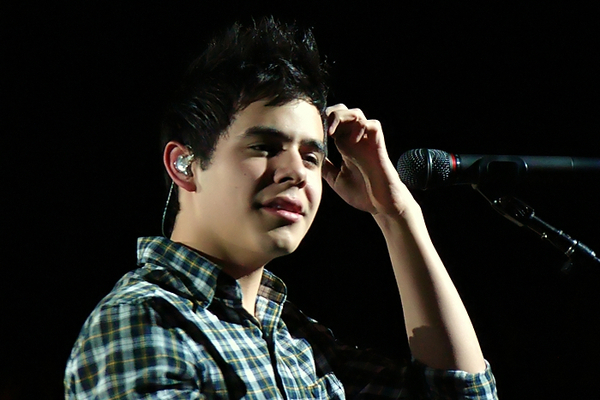 22 reasons to be in Chile…Bebe, you’re right, the best reason is because David is there! Have to say though that it is a lot nicer than I thought it would be. Some very pretty places. And I love avacado and mayo! 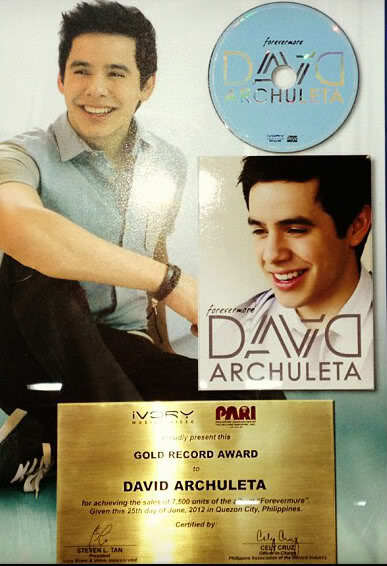 David is 1 of 3 that have gone above the 2 mil in sales for a single. Wow, over 41 million views! You have to give it to Crush, that little song sure has some legs. It just keeps on going. 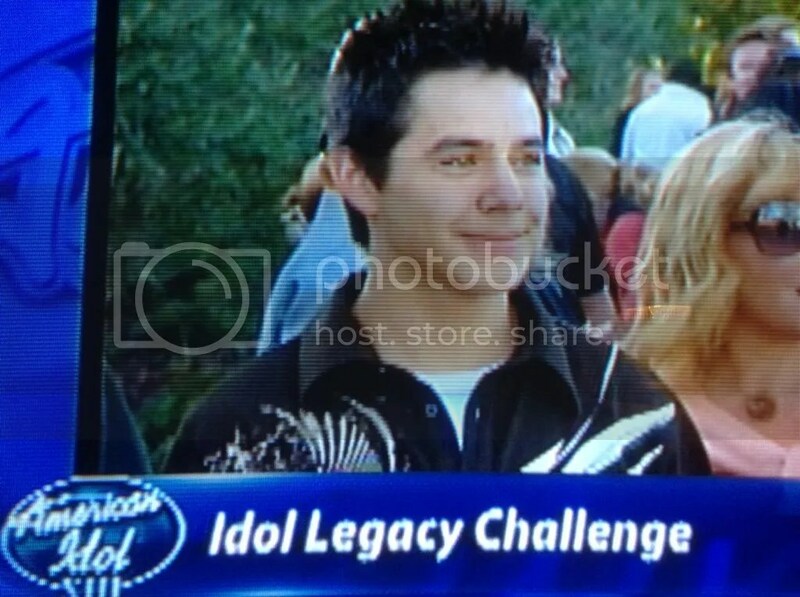 Showing David on American Idol in Utah! So good to see him involved in music on TV! 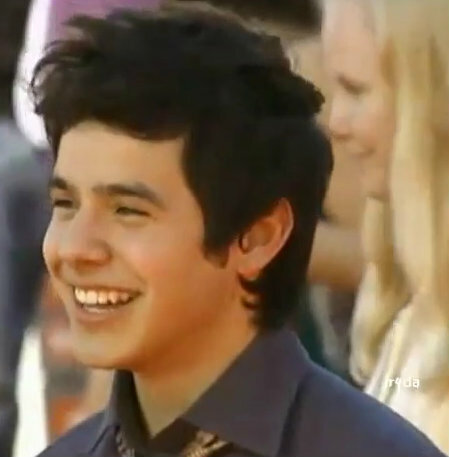 They showed David on Idol and had a poll between David and Kris Allen as to who was most popular Utah Idol. Kari tweets a Thank you! Yay!! I saw that. Very surprised and happy to see him mentioned!! 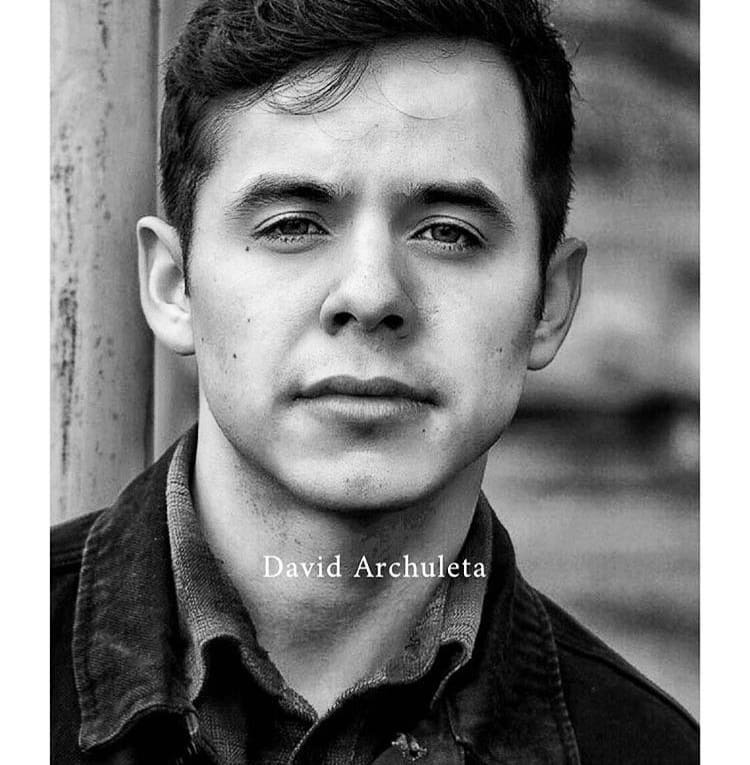 Wouldn’t it be nice if by this time next year David has an album coming out and they show a picture of his new album cover and say “Which Salt Lake City AI alum is this”?? And then come back and show side by side pictures of young and older David. Woo Hoo!! Haha ok, so I’m dreaming, just random thoughts, can’t help myself. This is what was shown on AI tonight, about 1 hour and 10 minutes into the show……so wonderful to see David tonight on TV! 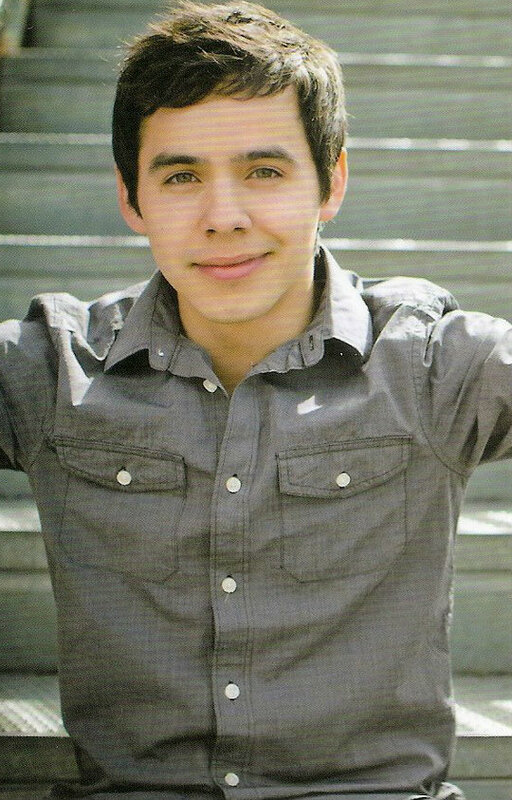 I am watching AI for the first time since season 7 to see David Archuleta!!!!! 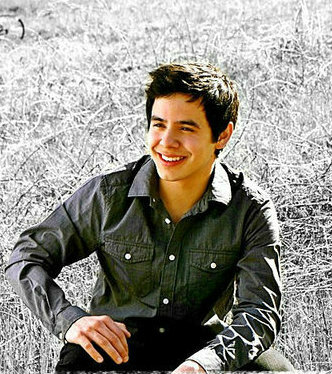 The Year Of The Archuleta! 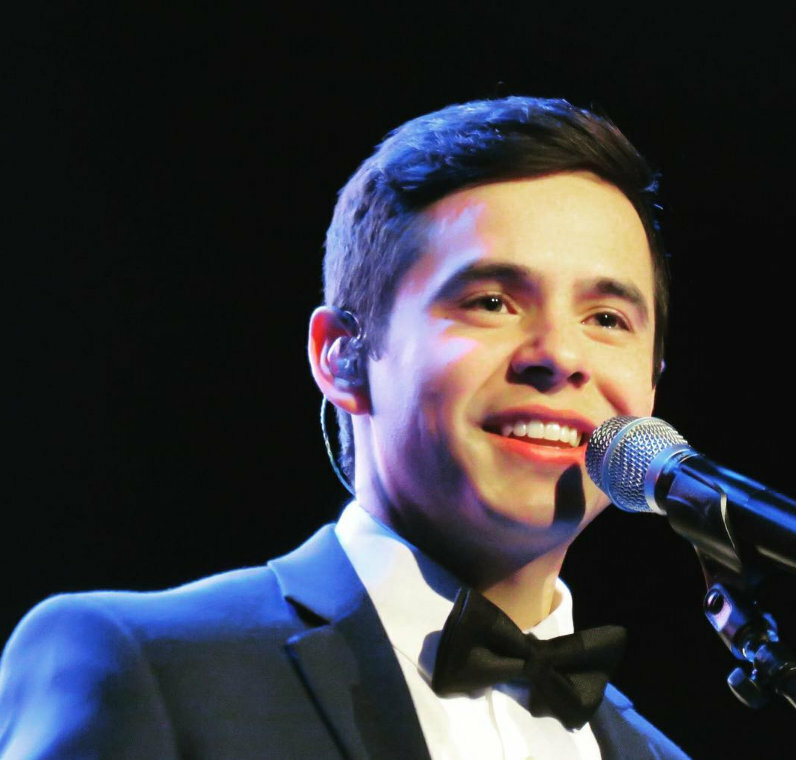 I remember a few years ago when David was on stage touring and performing concerts on the east and west coasts. He dressed his way sometimes in a plaid shirt and maybe a leather jacket for example. There would be some talk about his religious beliefs, his humanitarian efforts and other things. There was another young man, younger than himself but rising to huge fame faster than imaginable while David planned out his life and his career. This younger star sometimes appeared in pictures in almost the same clothes with the talk of his religious beliefs and visits to hospitals etc. 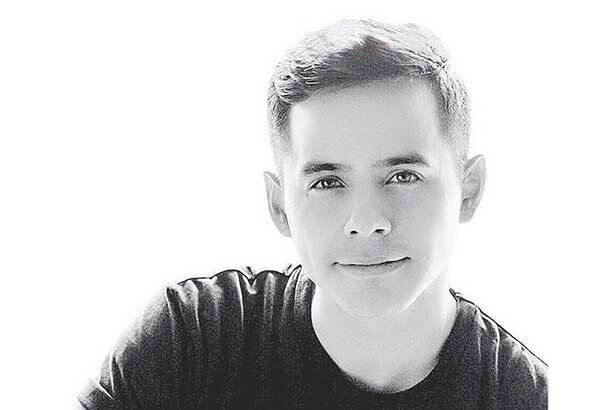 Now a few years later, David is returning from his departure more mature, more accomplished and more sure of himself ready for whatever he chooses. But the other young fellow is leaving, troubled and disturbed and closing the doors behind himself. 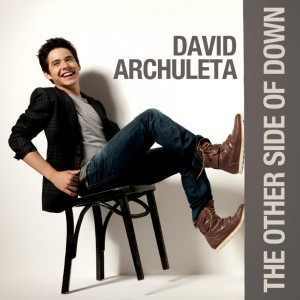 David’s song ‘Desperate’ could not be any more appropriate than for this young man right now. This is the difference between the current famous young singers and David. 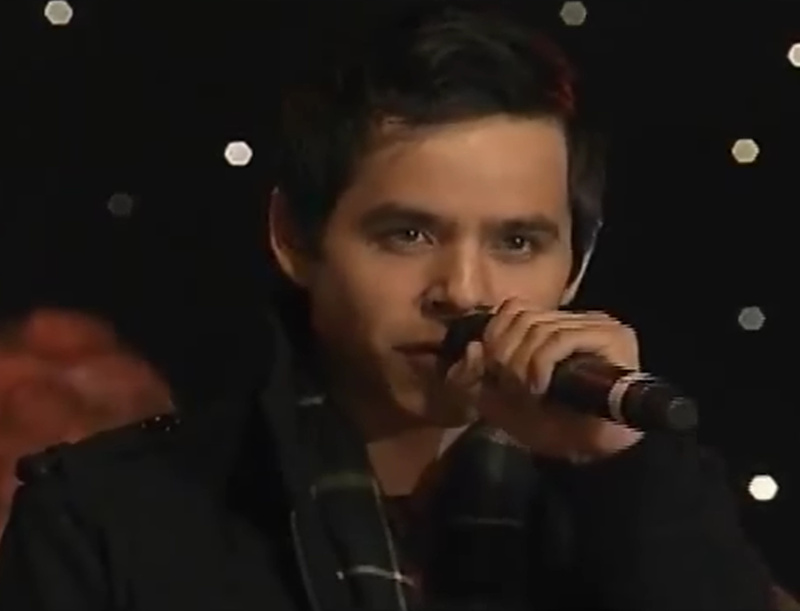 Oh yes and by the way, wasn’t it great to see David on television seen in North America, just before he is coming home? That’s just the start…. Skype has opened up its website-based client beta for the entire world, soon after establishing it generally from the U.S.
with Chromebook and Linux for immediate messaging interaction (no video and voice but, these demand a connect-in set up).